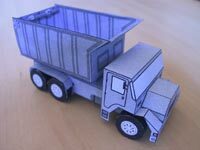 This little Dump Truck is the second of a paper truck series. 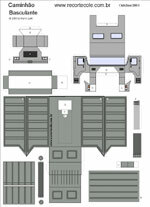 You can download this toy freely. Click here to general tips . 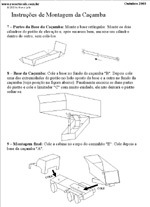 Click to download Instructions PDF file (98 Kb). See all pictures before starting. 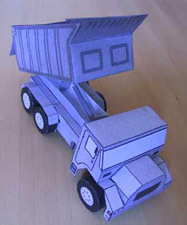 One click to download the Model PDF file (176 Kb). If you don't have it, click below to freely download from Adobe site.